Vollwertige Wohnung bis auf TV und ein paar Kleinigkeiten alles vorhanden. Wohnung war sauber, Vermieterin sehr freundlich. Da wir sehr schönes Wetter hatten waren wir fast nur zum schlafen und duschen in der Wohnung. Ein kleines Manko ist das kein TV zur Verfügung steht. Wenn Malta mal wieder unser Urlaubsziel ist werden wir gerne dort wieder wohnen. We had a really great time at Mary's and Paul's apartment! It was big, clean, very well equipped with cooking/washing tools and it featured a very cool terrace where we enjoyed many of our evenings. Situated in a central position of Gezira, very close to shops and restaurants/pubs where we enjoyed a lot. Furthermore Mary and Paul were very kind hosts and satisfied every request we made as soon as they could. We strongly recommend this place to everyone who will go to Malta and wants to enjoy the island's relaxed and warm atmosphere!! Great holidays! È stata una meravigliosa vacanza. 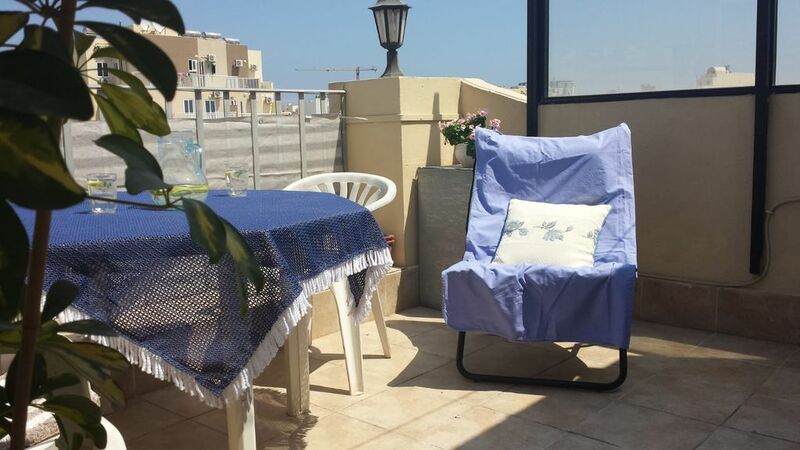 L'appartamento Ta Mare era pulito e tranquillo con una grande terrazza e una bella vista. La posizione era perfetta e in un minuto a piedi eravamo al mare. I proprietari erano molto amichevoli e tutto era ben organizzato. Appartement très bien situé à Sliema près du bus, des commerces et de la mer. Et surtout très très calme!!! Cet appartement est très très calme!!!!! Et le tout très propre. Les propriétaires sont également sympathiques et conciliants. These type of comments it makes us happy that our hard work is appreciated from others.